Dealing with sudden lock issues is one thing but dealing with problems, which could be prevented is really a shame if not for any other reason, then just for your trouble. Metal objects can often surprise us with issues since they are affected by temperatures despite their strengths. 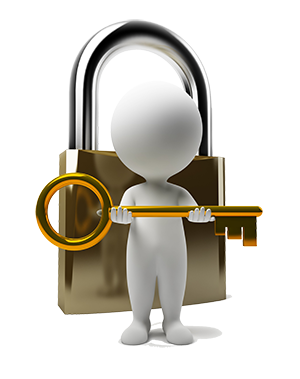 So, when it comes to complex lock mechanisms, things get tougher not only because lock repair is not always the solution but also due to the fact that some problems involve great security risks. If we assume that all we want to do before going to bed is turn the key to lock the door, the least we must do is make sure the key will turn and the door locks will secure our homes for one more night. Failure to align both the door and the strike plate occasionally might not allow us to lock the door. Before you go ahead with lock change, think of the consequences of a sagging door! It will lose direction even by a few inches and consequently the bolt won't come out to the exact point, where it can meet the strike plate and enter its hole. The same will happen if the strike plate is not aligned. Loose screws might cause it to turn a bit and if the bolt doesn't extend fully into the hole, the door won't be locked well. Thus, someone can easily kick the door or use a simple tool to break-in. This can happen with any security door lock and the best cure is to prevent it with adjustment beforehand. Strike plates have specific positions against the door jamb and all you have to do is to move it back and forth having the screws loosened. When they're in place, tighten the screws. Make sure to use 3 inch long screws to ensure their good attachment against the jamb. The gap under the door must be even or the door will sag. 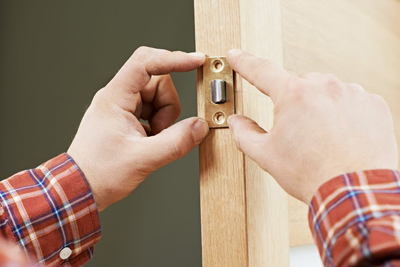 You just have to tighten the screws of the door's hinges and make sure the door is aligned with the strike plate, so that the bolt can extend fully into the hole. If it's still not inserted all the way, you might need to consider lock replacement.